Spring time in San Antonio brings warmer temperatures. Don't you love Spring? My family and I loves Spring season because the days are longer and the sunshine is warmer. Plus, we get to enjoy and do some outdoor activities in our own backyard. 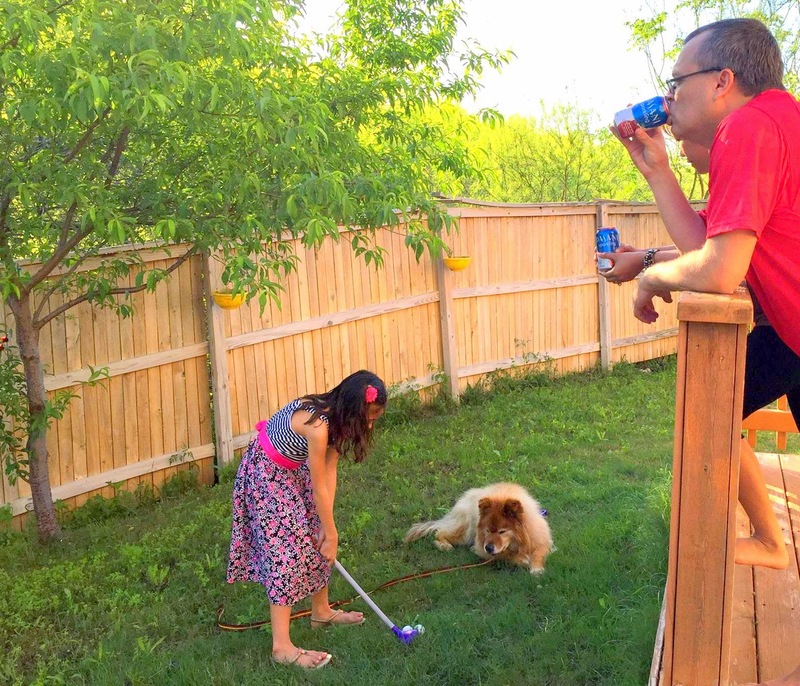 We just started spending hours outside on the weekend or even after dinner and watch our daughter play in our backyard while husband and I are having our Dasani Sparkling. 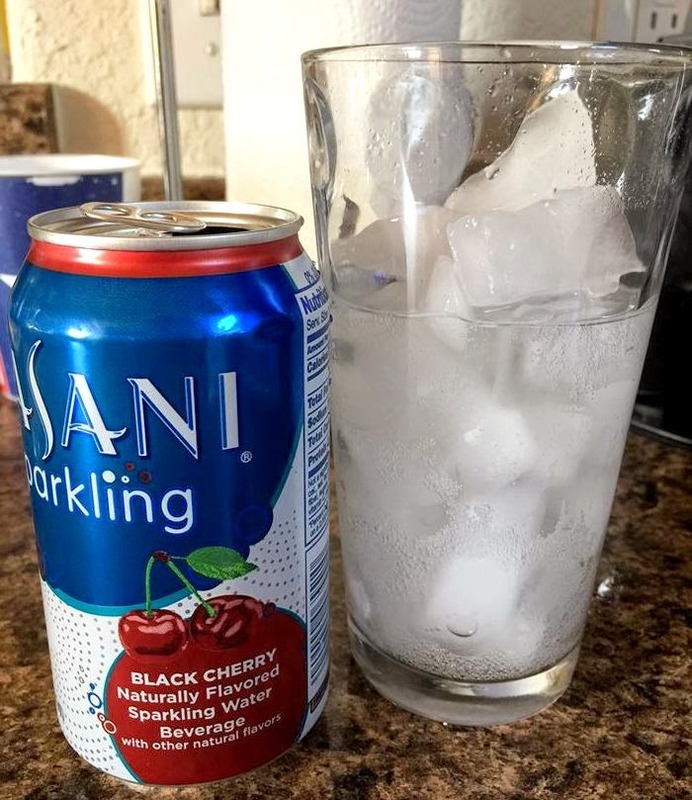 Have you tried Dasani Sparkling yet? It's a delicious way to add refreshment to your day and it's unsweetened with no artificial flavors and zero calories. It's like drinking sparkling water with a splash of fresh fruit. Honestly, it tasted a little funny at first but we actually really fell in love with the taste. 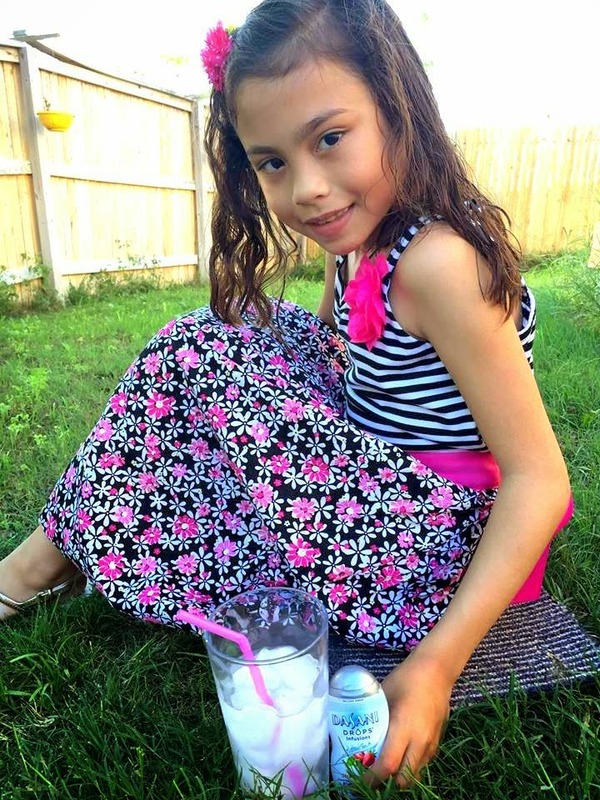 Yes, it's fun to do some outdoor activities but keep in mind to stay hydrated. Drinking lots of water also helps avoid heat stress on the body. What better way to have water and some fresh fruit flavor at the same time than with Dasani Drops? DASANI DROPS uses natural fruit flavors to give the delicious fruit flavor. It is artificially sweetened using sucralose and acesulfame potassium sweetened and has zero calories per serving. 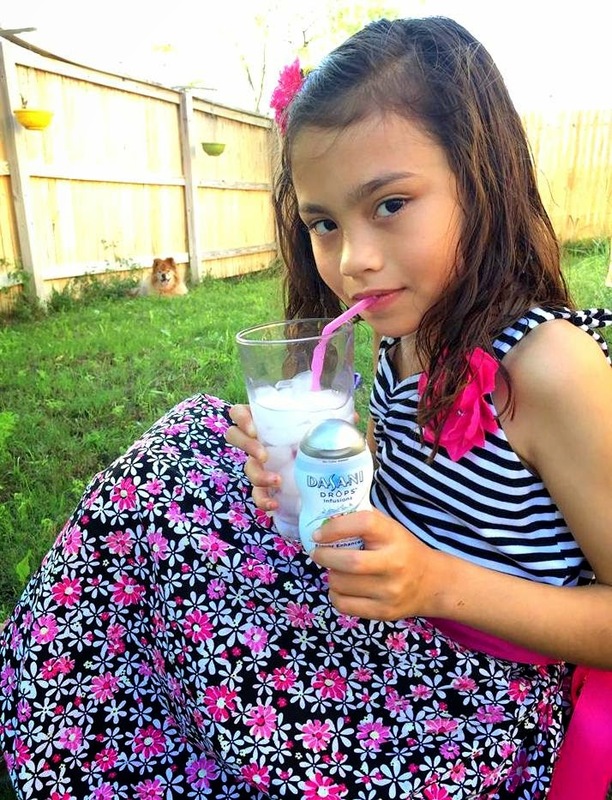 My daughter loves her Dasani Drops Infusion. She can't get enough of the strawberry basil flavor, and now she started drinking more water than before. I personally like the Dasani Drops Infusion too! It's so convenient and you can take it with you anywhere you go. 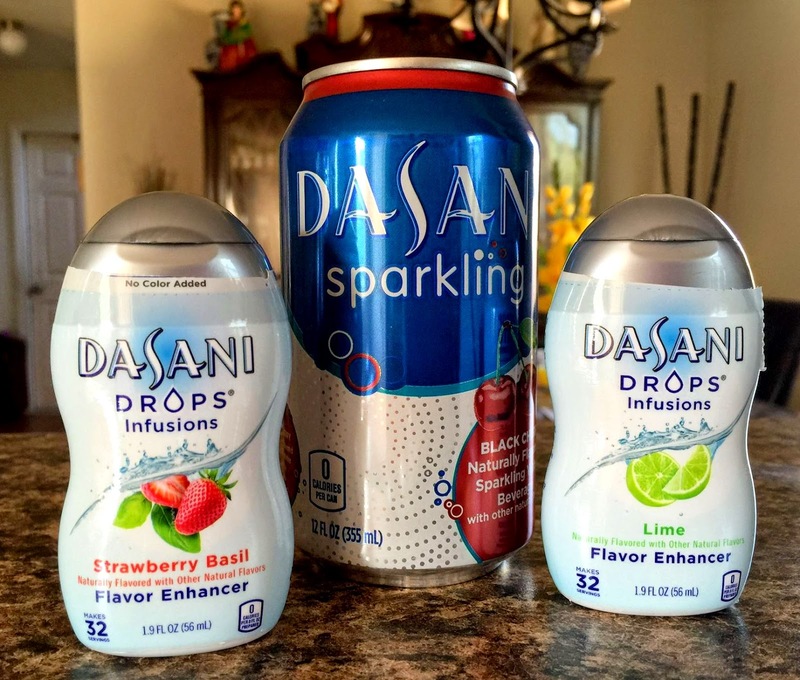 So if you want to to have delicious new hydration options for the whole family, choose Dasani Sparkling or Dasani Drops. For more details or would like to order, you should visit their website at www.dasani.com today! You can purchase these new DASANI products at your local Target or you might want to check it on your Target Cartwheel App. For a limited time, coupons will be available for both DASANI DROPS Infusions and DASANI Sparkling in Black Cherry (within the app). Don't forget to like them on Facebook or follow them on Twitter for updates and promotions. So what are you waiting for? This post is sponsored in partnership with Dasani and Target. Plain water is boring. This is a great way to change it up! We drink water like it's going out of style! I do love the taste of plain water, but I must say, changing it up once in awhile would be nice too! I will have to look for this. I recently started drinking la croix flavored water and really love it! I'll have to check this out! Sounds great! The flavors sound so light and refreshing. I'm excited to try it! I seen spring there. It gives me hope! I am happy for the spring and I love these drops as well. Oh, I haven't tried Dasani Sparkling yet - I'm going to look for it here! Nice promo! We don't have that here in Canada yet. I am starting to drink a lot of flovored water right now. I did not know that they made flavored water. I will have to look for it next time I go grocery shopping. I haven't tried Dasani's sparkling water. I didn't know they made it. We go through sparkling water like crazy over here. I'll have to check it out. I love Akesha's dress!!! Love ko yung drops, the flavored one in can, not really..